Pellow Pharmasave in Walkerton, ON is an authorized clinic for Ideal Protein and also retails Walden Farms. 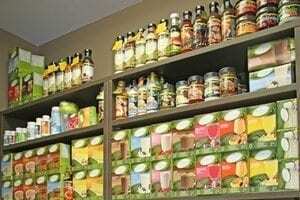 These products are great if you want to maintain your shape or lose weight the healthy way. Ideal Protein is a medically designed weight loss method that targets fats but spares muscles, helping you drop pounds. For more than a decade, this method has been helping dieters accomplish their weight loss goals. Developed and endorsed by medical doctors, Ideal Protein was the #1 diet of 2015. It comes with comprehensive guidelines and tools, as well as personalised ongoing support. visit our location and speak with our fully trained Ideal Protein Coach, Sue Lorenz. Pellow Pharmasave is an independently owned and operated center authorized to promote and sell Ideal Protein products and the Ideal Protein Weight Loss Method. Consult www.idealprotein.com for more information about the Ideal Protein Weight Loss Method and Ideal Protein products and services. Any express or implied statement herein that is not made by Ideal Protein itself or is otherwise inconsistent with or different from the express or implied statements contained in www.idealprotein.com materials, including regard any benefit, performance or specified weight loss expected or achieved with the use of Ideal Protein Weight Loss Methor or Ideal Protein products or services is made solely by Pellow Pharmasave, and Ideal Protein specifically disclaims any and all such statements that are not explicitly or implicitly made in, or that are otherwise inconsistent with statements in www.idealprotein.com materials, and Ideal Protein explicitly disclaims any and all responsibility relating thereto. Since 1972, Walden Farms has been at the forefront of the health food industry. They have been maintaining high standards and creating innovative products for 3 generations. Walden Farm’s mission is to create healthy specialty foods for people who want to control their intake of calories, fat, carbohydrates, gluten, and sugar without sacrificing delicious flavours. More than 39 years ago, Walden Farms developed a product that appeals to everyone, especially the healthy eaters. 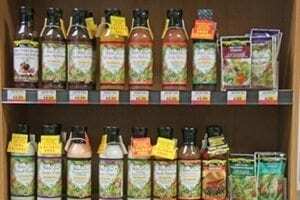 They were one of the first companies to offer tasty salad dressings with reduced fat and calories. After years of hard work, Walden Farms’ culinary and nutritional experts have developed the world’s first and only product line of calorie-free specialties. These products do not have fattening ingredients, and you can purchase them here at Pellow Pharmasave. For more information about what we have in stock, email us or call our store at 519-881-0151.